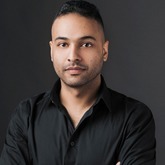 Gaurav is an industry veteran in the blockchain space with a history of working with decentralized systems and financial services at scale. He has contributed to pivotal projects, literature, & invented pioneering technology since 2010. Gaurav is a techstars alum, and ex CTO of startups Everledger, and Atlas. Gaurav is currently the CTO of BABB.